A place to get help when you need it. Below are useful garage door repair FAQs for your consideration. In purchasing a garage steel door, how does the steel gauge come in handy? Remember that the lower the number of the steel gauge of the garage steel door, the thicker and stronger is the steel. As explained by Garage Door Repair El Sobrante experts, you might want to consider this before purchasing a new garage steel door. There are other combinations of elements aside from the steel gauge that makes it more durable. Can checking the garage door balance enhance safety? Yes. It is very important to check the balance of your garage door. If not properly checked, the garage door could fall or collapse anytime without prior notice. The incident will cause a lot of damages and serious injuries in case a person is nearby the door when it collapses. Hence, balance should be checked carefully. Disable the door opener and try opening the door halfway manually. Now let go if the door and see if it stays in the same position. It's fine if it moves a little but if the door is not able to hold up then it may not be balanced properly. 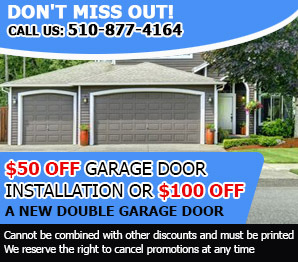 If the door drops or suddenly opens on its own then it's time to adjust thedoor springs and this should only be done by skilled technicians like those fromGarage door repairCompany in El Sobrante. Why should I maintain garage doors before winter? Garage door maintenance during the winter is not prohibited. Though, preparing the system for the cold days is prudent. Mechanical garage door parts would react to the cold temperatures and it's wise to lubricate, check and repair them beforehand according to our specialists in El Sobrante. Should we trust the major manufacturers? Major garage door manufacturers have a good name because they produce good products. Otherwise, their reputation wouldn't be good and with competition they would have gone bankrupted. Garage Door Repair El Sobrante says that manufacturers can be trusted but you should always get products matching your needs. How do I make sure the door closes well? The overhead door will close well when the travel limit settings at the opener unit are right. It's also important to make sure the sensors are aligned and won't reverse the door. If you have carriage doors, make sure the hinges are tightened and in good condition.